Hello! 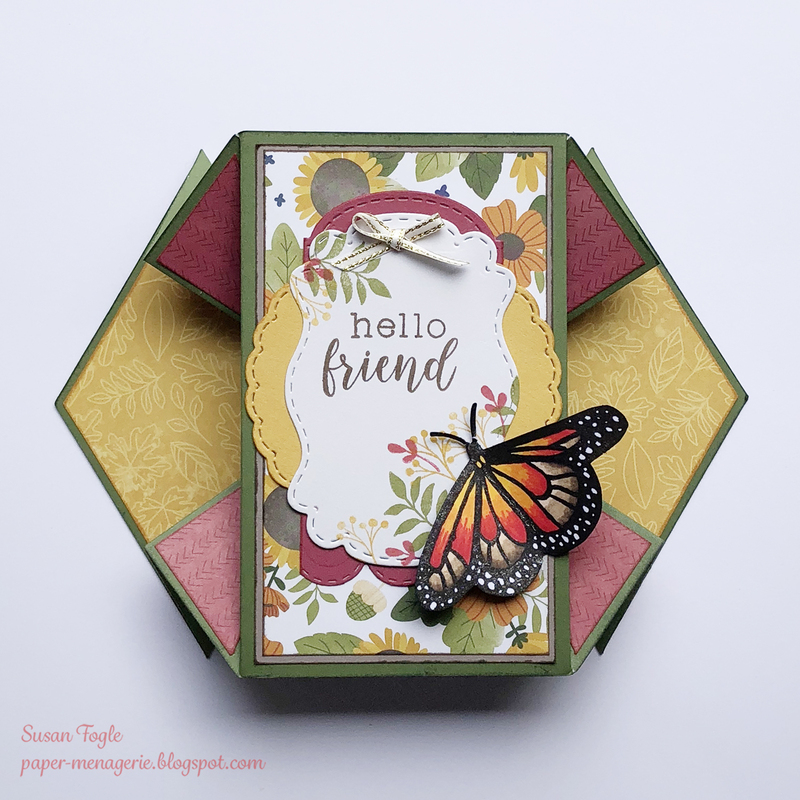 I received a few requests for a tutorial on the double diamond fold card I shared for the challenge. I put together a second card for the tutorial and thought I would share it here as well. Visit my blog, Paper-Menagerie, to see the step-by-step instructions. I hope you'll give it a try! Susan, thanks so much for sharing. Another beautiful card. We do miss you at Color Dare, we have added some DT to our Team, but still have one more DT member we need. And don't forget me at our fun challenge at Double Dare, would love to see you participate, maybe even some match with future Three Amigo projects.